We featured Prostation 3.0 monitor stand, but Monitormate’s miniS mini monitor stand with USB 3.0 hub may be more suitable for you if you need a more compact option. The miniS is a versatile and compact monitor stand that measures 590 x 210 x 68mm and weighs 2kg. As we can see from the images, the stand shows off a minimal and elegant appearance design, and the streamlined contours show off modern aesthetics. Meanwhile, two optional bead blasting finishes ensure it matches with different interior styles. The mini monitor stand is made from steel, so it’s solid enough to hold a maximum weight of 20kg. 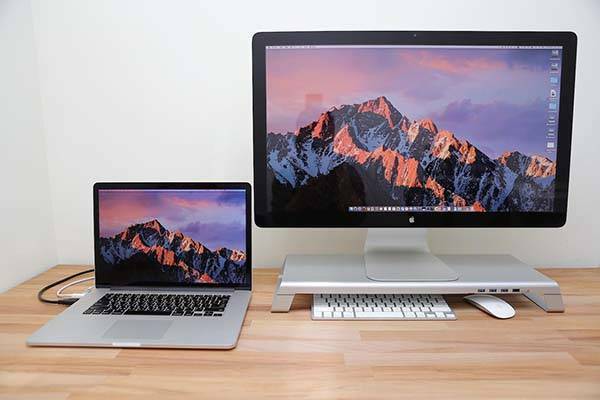 Undoubtedly it effortlessly deal with iMac, monitors and other all-in-one computers. The ample top allows to hold your other external devices such as external storage device, smartphone and more. 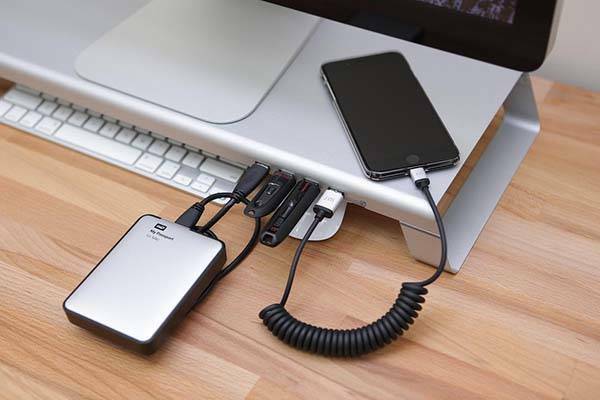 Furthermore, the monitor stand features an integrated USB 3.0 hub that consists of three USB ports and a 5V USB charging port, so it allows you to easily connect other devices with your computer and conveniently charge your smartphone or tablet. 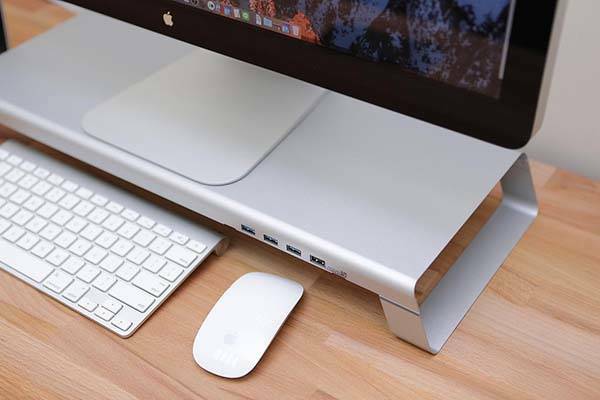 In addition, the space under the stand can be used to store your keyboard and mouse, delivering a neat and clean desktop. The miniS mini monitor stand is priced at NT$2,480 (approx US$82). If you’re interested, jump to the product page for its more details.